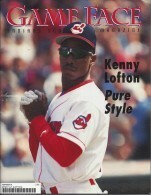 Kenny Lofton is on the cover of the 1996 May Cleveland Indians Game Face Program. Kenny Lofton became the all time stolen bases leader in April with 255 and he stole third base 44 times. 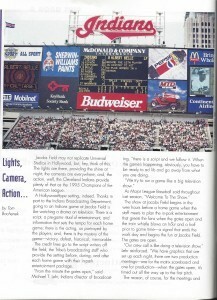 There is a nice two page article about it in this issue.This issue also features a five page article on Kenny Lofton and a two page picture of him.There is another interesting article about supermodel Christie Brinkley being at Spring Training at West Palm Beach taking pictures with Cleveland Indains players for a card set called the Christie Brinkley Collection made by Pinnacle. This is what the original scoreboard looked like. 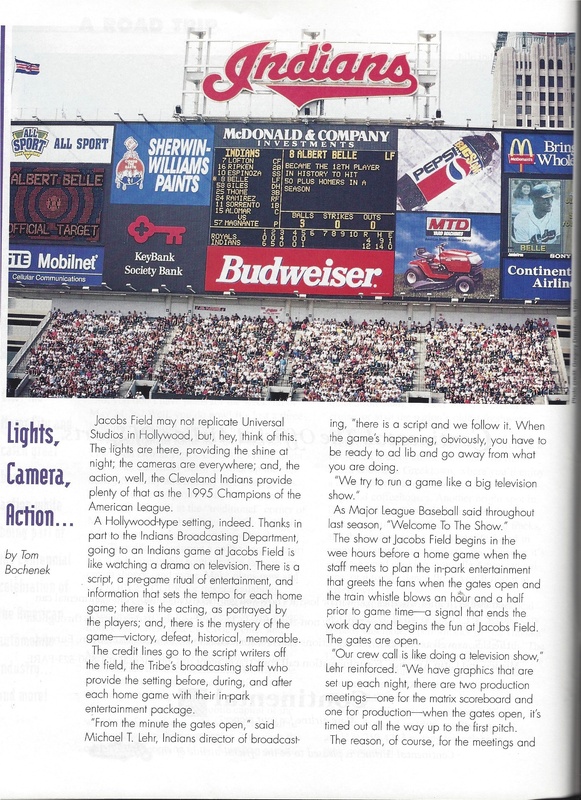 How Collectible is the 1996 May Cleveland Indians Game Face Program? This program is not highly sought after but this program is affordable for all types of collectors. Cleveland Indians and Kenny Lofton fans will seek out this program for their own collections.